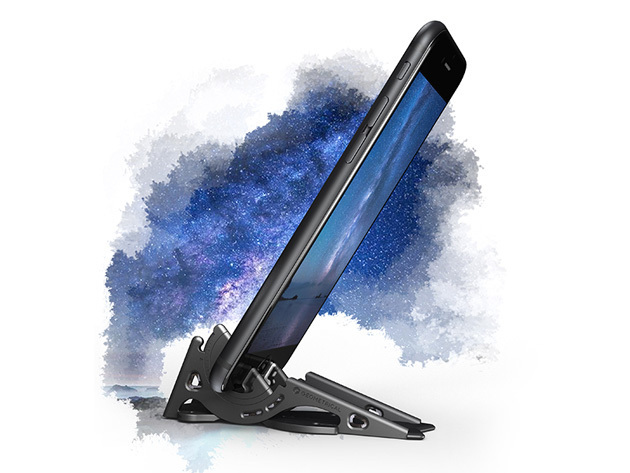 Check out the Pocket Tripod PRO, a stand for your iPhone or Android device that folds up flat to the size of a credit card. That means you can carry it with you in your wallet or billfold so you always have it with you. This is a new version of the Pocket Tripod designed to fit multiple devices with or without a case. There’s a video on the deal listing that walks you through everything. It’s available as a pre-order through our deal for $19.99. That is a pretty clever gadget. I like it.